The day before Hurricane Irma hit, Michael Sechler and a few friends were driving around Sarasota, Florida, checking up on friends and picking up last-minute supplies. 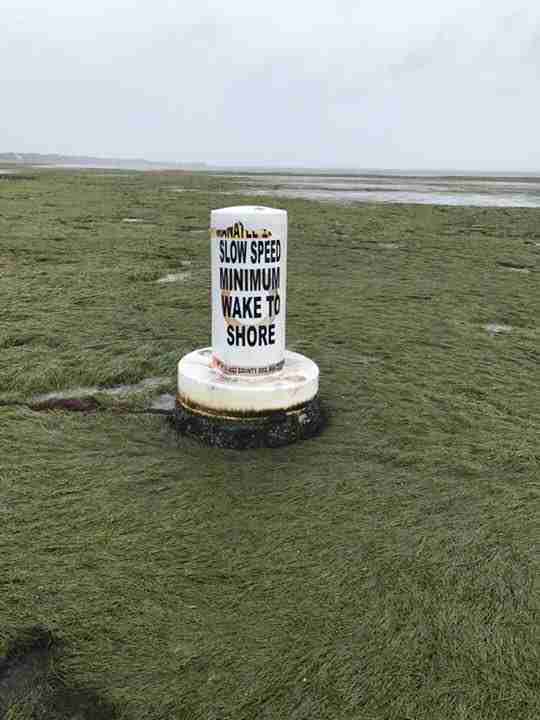 When they rode past the bay, they noticed something strange — the water was gone. Sechler and his friends took their shoes off and stepped out into the bay to find out. Manatees, also known as “sea cows,” are large aquatic creatures who swim around Florida’s shallow, warm waters and graze on seagrass. 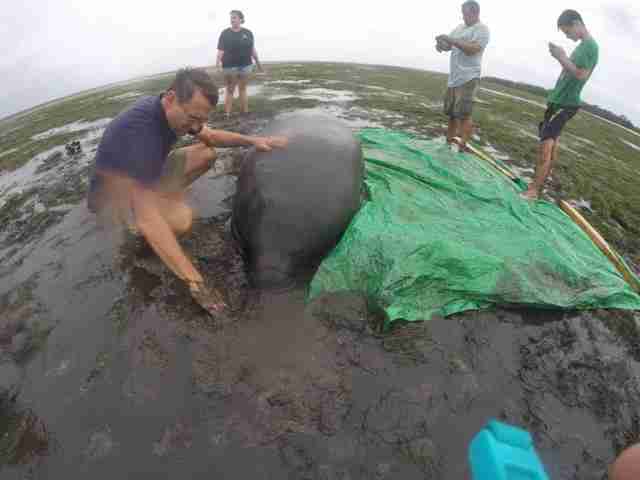 But without water, these two manatees couldn’t move. In fact, Sechler assumed they were dead. But when he squatted beside one, he saw the animal breathing and gazing up at him. The second manatee, who was about 50 feet from the other one, tried to roll over onto his back, but he was stuck in the muddy floor. 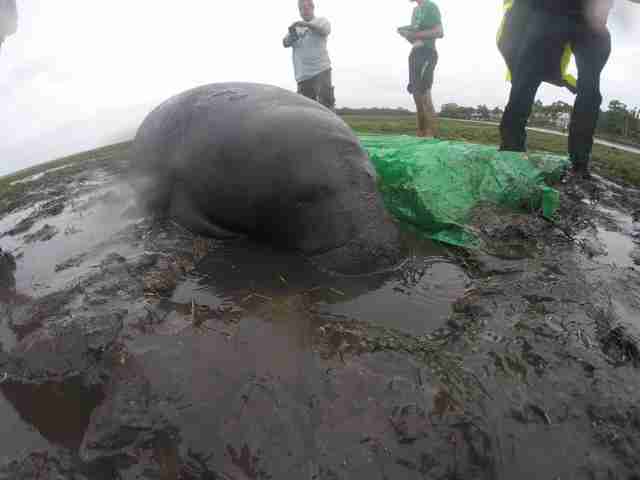 It is possible for manatees to survive strandings, Kelly Richmond, a spokesperson for the Florida Fish and Wildlife Conservation Commission (FWC), told The Dodo. “We know that manatees do strand themselves, especially when they mate, so they can survive outside of water for some time,” she said. However, the unpredictability of the upcoming hurricane could have been disastrous for the manatees. It could have displaced them or stranded them for an indefinite period of time, according to Richmond. 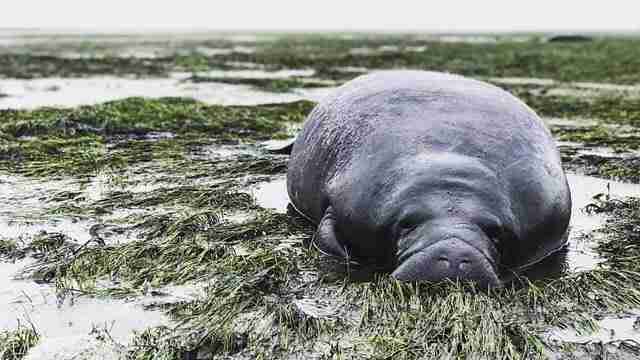 Sechler and his friends tried to move the manatees toward the leftover water in the bay, but it proved impossible. “They were very, very heavy,” Sechler said. They needed help from a rescue group, but finding that kind of help a few hours before the hurricane hit was nothing short of difficult. 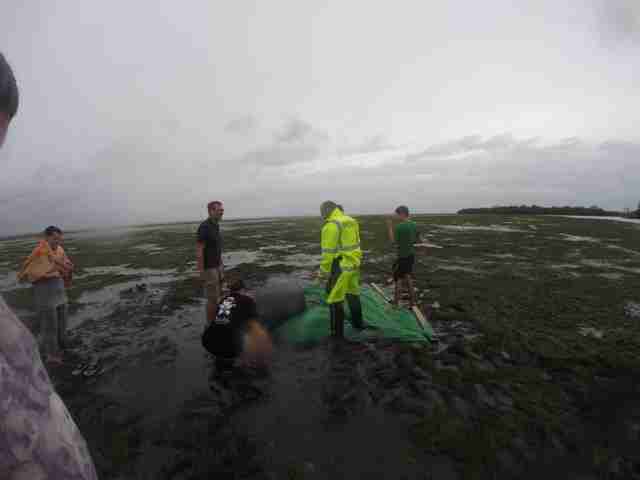 But after posting photos of the stranded manatees on social media, help came — two officers from the Manatee County Sheriff’s office arrived at the bay, moved the manatees onto tarps and carefully carried them back into the water. 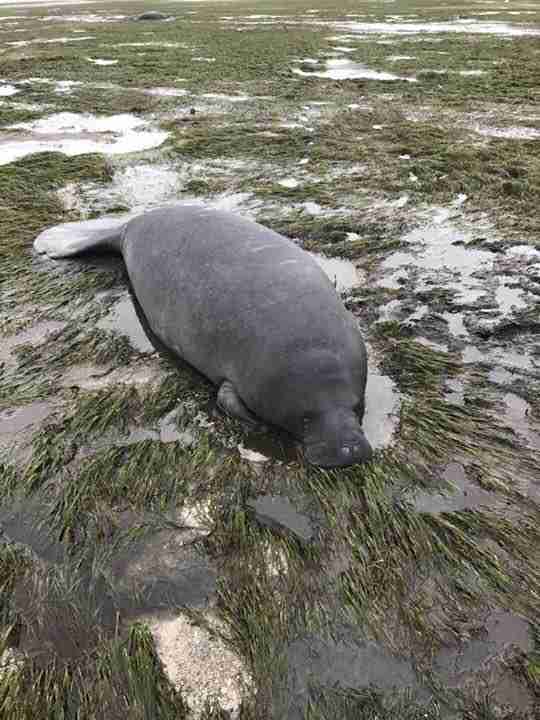 While these two manatees were lucky to get help, others may still be stranded in the aftermath of Hurricane Irma. Richmond explained that it’s important for people to report such incidents. 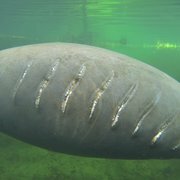 If you find a manatee or another wild animal who needs help, please contact the FWC. You can also help protect manatees from other dangers, like habitat destruction and boat traffic, by making a donation to Save the Manatee Club.